SPORT PSYCHOLOGY: Mental Training for Peak Athletic Performance -The online source for Applied Sport Psychology for every athlete. "Sport Psychology for Every Athlete"
Another key ingredient that all athletes need to perform at their best is a winning attitude. What you think and say to yourself shapes your attitude. Negative self-talk most often leads to negative feelings and poor performance. Positive self-talk and positive feelings are most often associated with good performances and the satisfaction of accomplishment. One of the quickest, most effective ways to develop and maintain an abundance of winning self-talk is through the use of the Mind Games Subliminal Reinforcement CD (CD Two). As a direct result of recent discoveries in the field of subliminal suggestion and self-programming, CD Two can cognitively restructure that subconscious part of your mind where attitudes reside. CD Two contains powerful positive statements, called affirmations, which are repeated continuously and inaudibly throughout the CD. When the subconscious mind is repeatedly subjected to these winning affirmations, the affirmations began to replace doubts and negative thoughts and transform your attitude into that of a consistent winner. Positive subliminal affirmations have an amazing power to bring about changes in your attitude and level of performance. 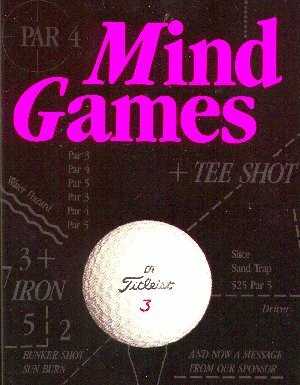 Mind Games audio CDs are guaranteed to teach every person that uses them how to achieve their own ideal mental state and winning attitude. 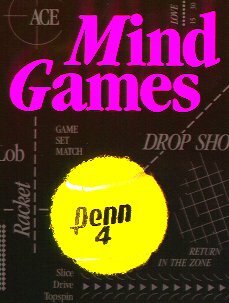 Regardless of the level or type of your competition Mind Games has a CD set specifically designed for you. Order your two CD set today and energize your quest for personal excellence and abundant success. We also accept checks by phone, fax and e-mail!